Foam covered seat and back rest for terrific support and comfort while paddling. Intergrated rod holders turn any kayak into a fishing kayak. 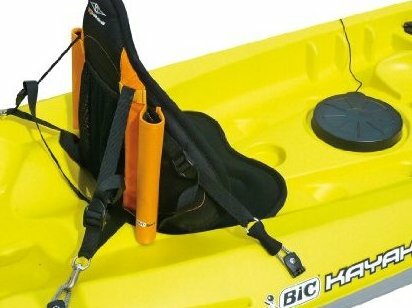 Adjustable to fit most any kayaker and kayak. Ergonomic foam cushioning. Soft Neoprene comfort.